Kimberly Colburn, Food Stylist, Twin Cities, MN. HTML site w/ portfolio. 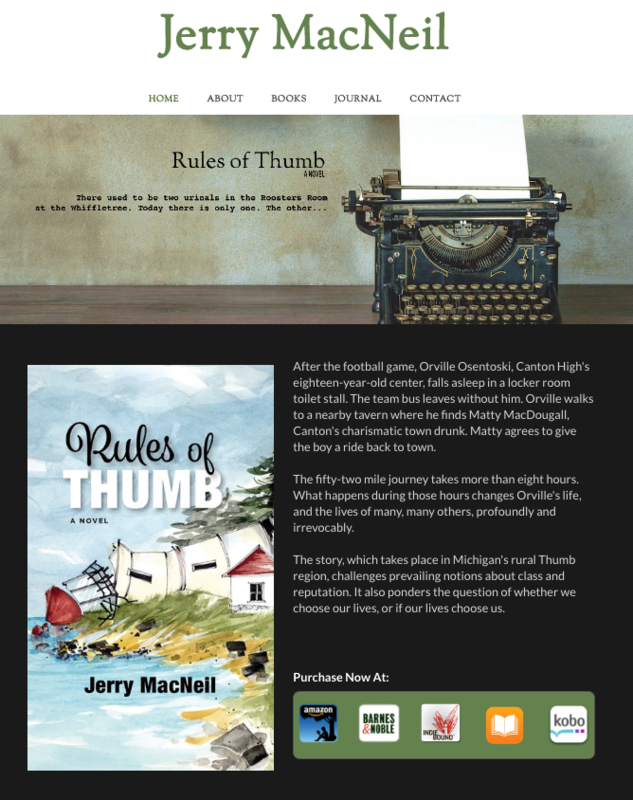 Jerry MacNeil, Author website from St. Paul, MN. 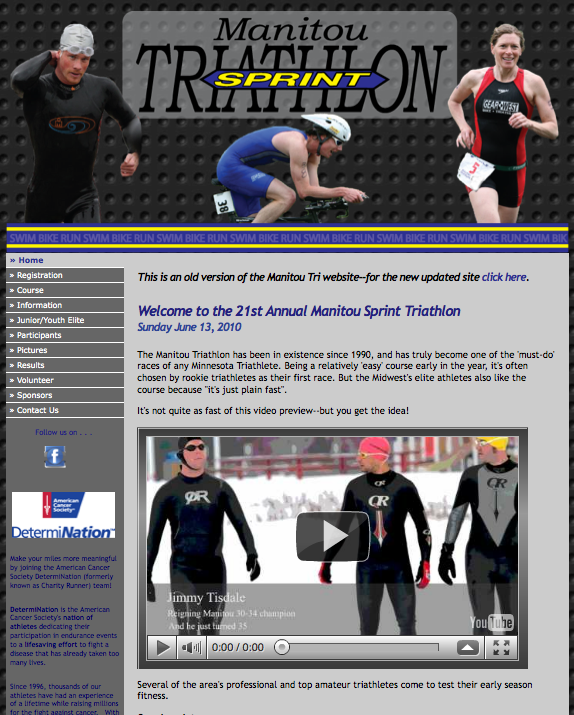 Weebly site. 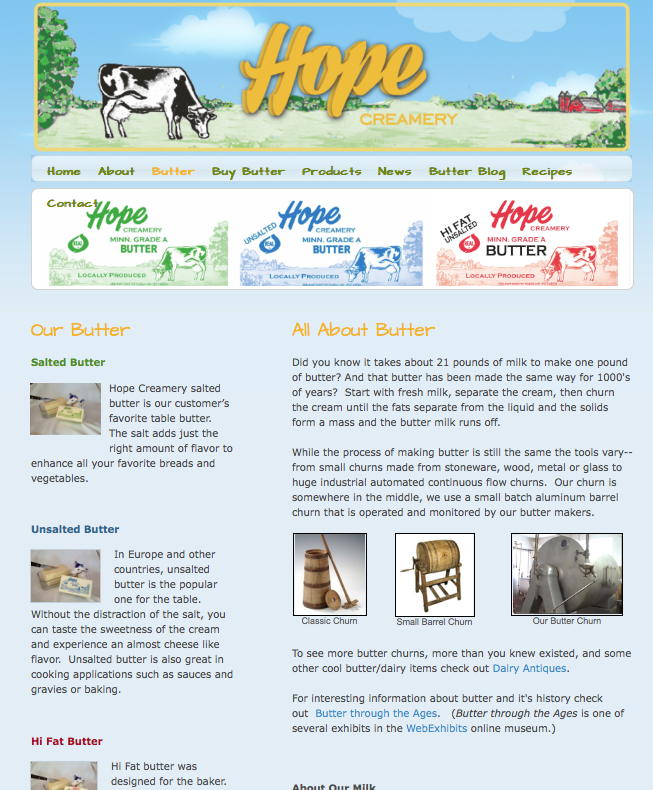 Hope Creamery is a local Minnesotan butter maker. 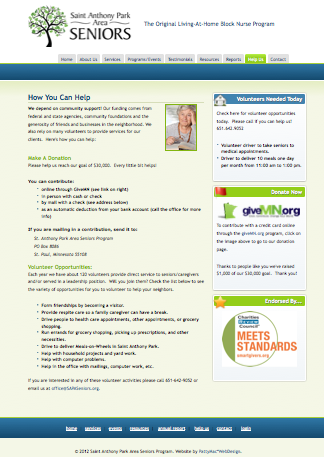 Weebly site. 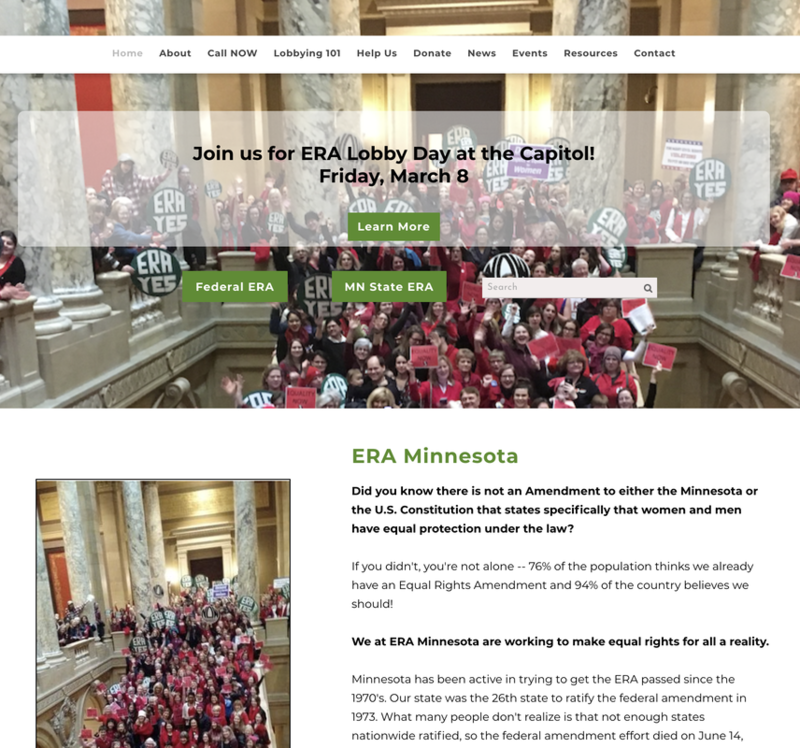 ERAMN is a website with information about the effort and need for an equal rights amendment in Minnesota. 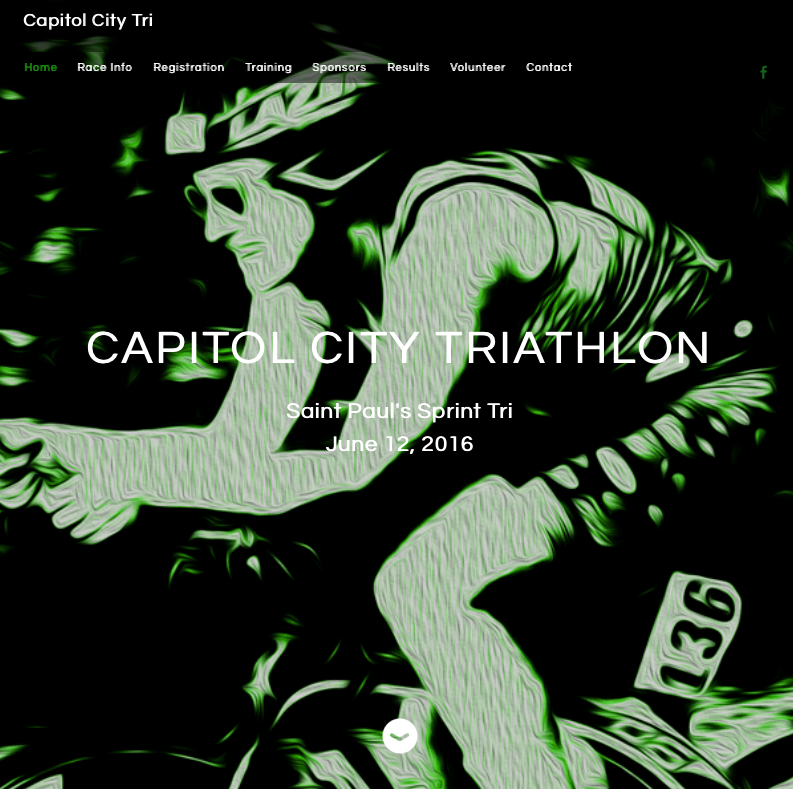 Weebly site. 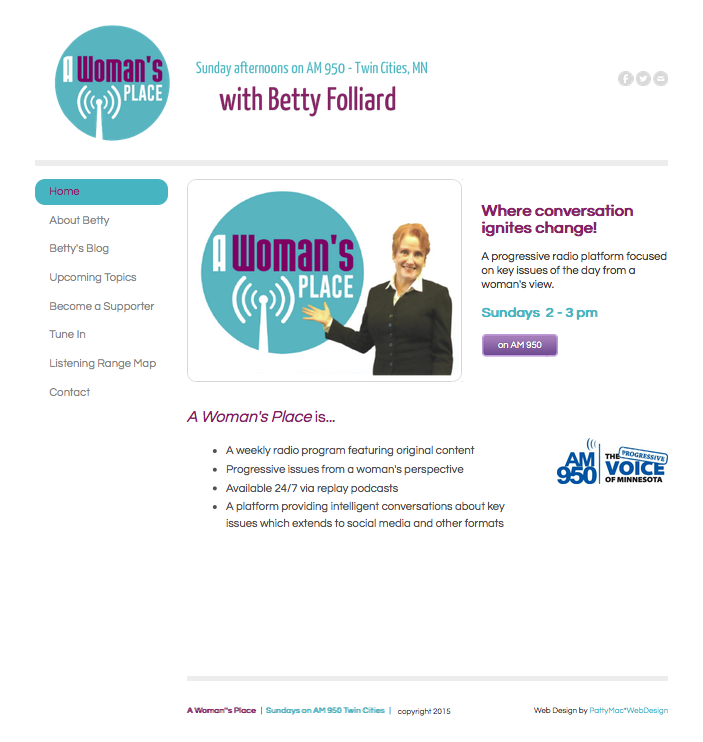 A Woman's Place is a weekly radio show about progressive issues from a woman's point of view. 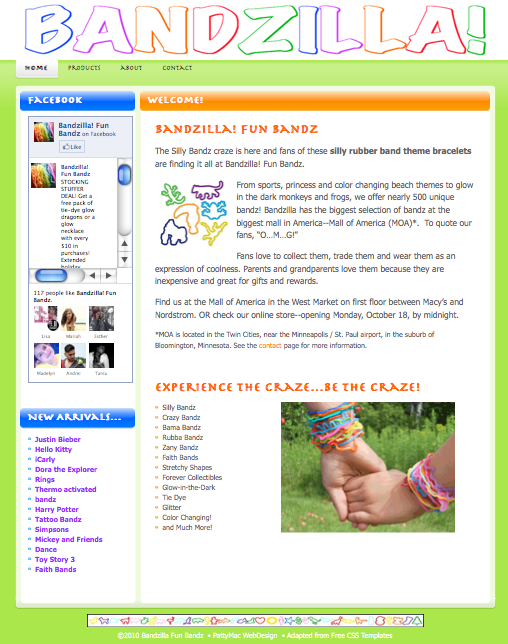 Weebly Site. 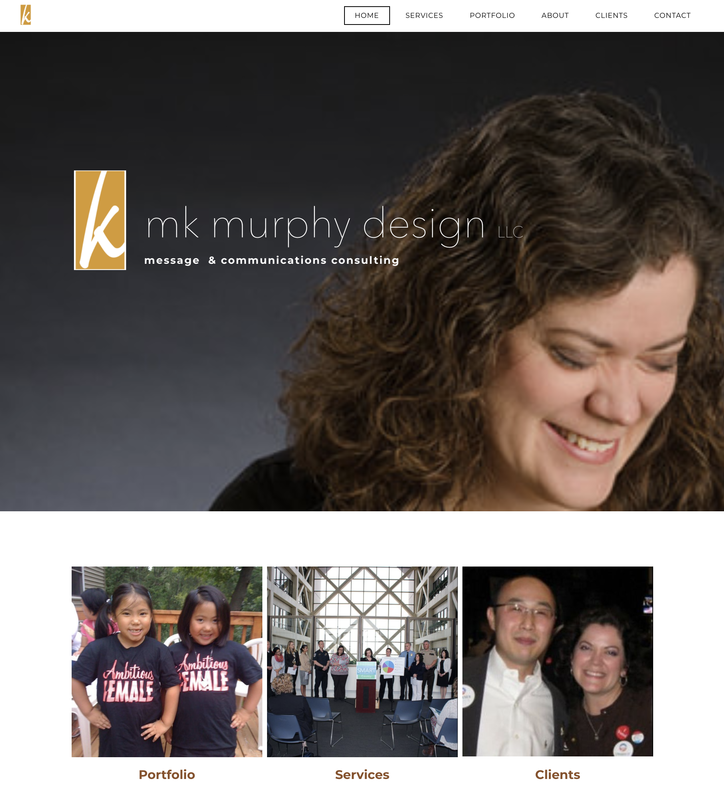 mk murphy design (graphic design & communications). 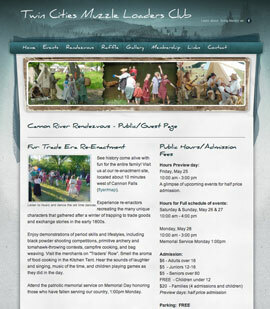 Weebly site. 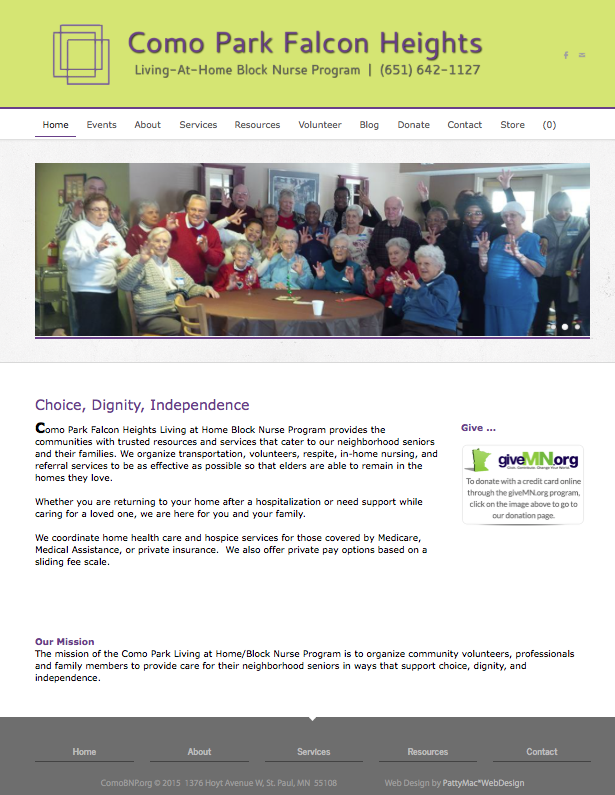 Como Park/Falcon Heights BNP helps seniors stay at home. 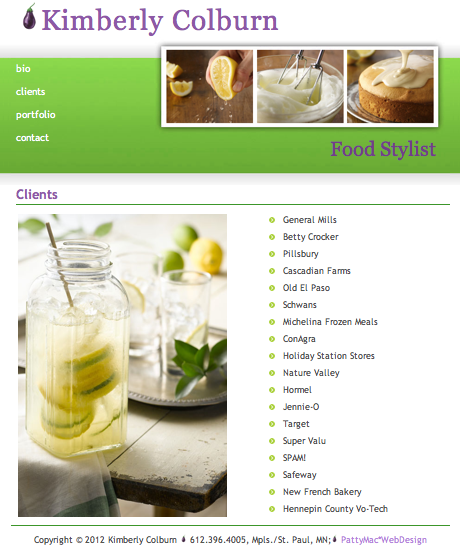 Weebly Site. 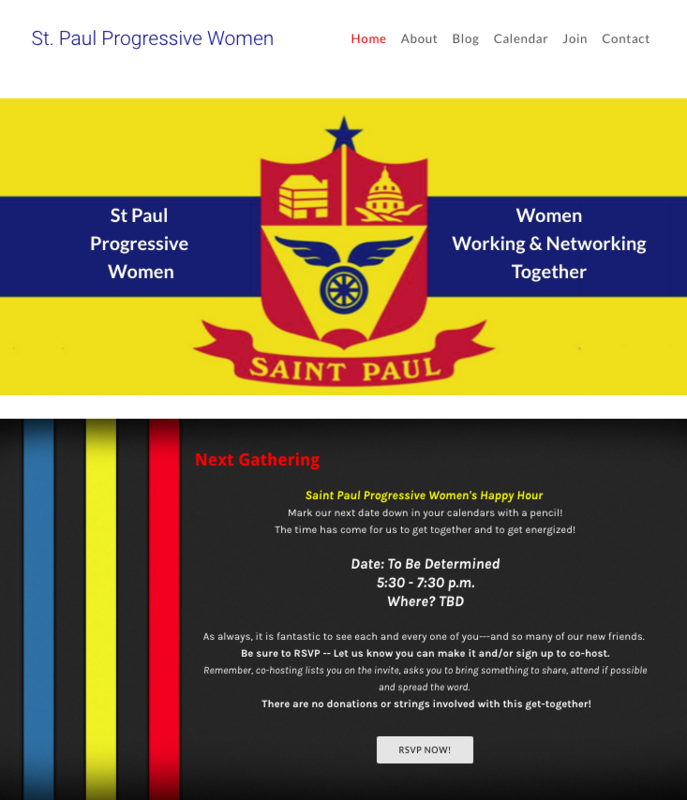 St. Paul Progressive Women. An informal networking group. Weebly site. 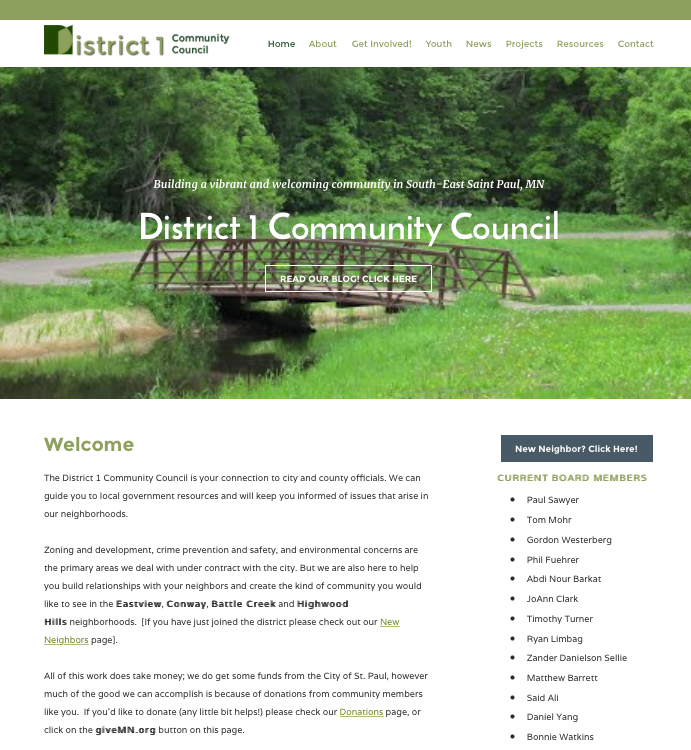 District 1 Community Council. East side of St. Paul, MN. Weebly site. 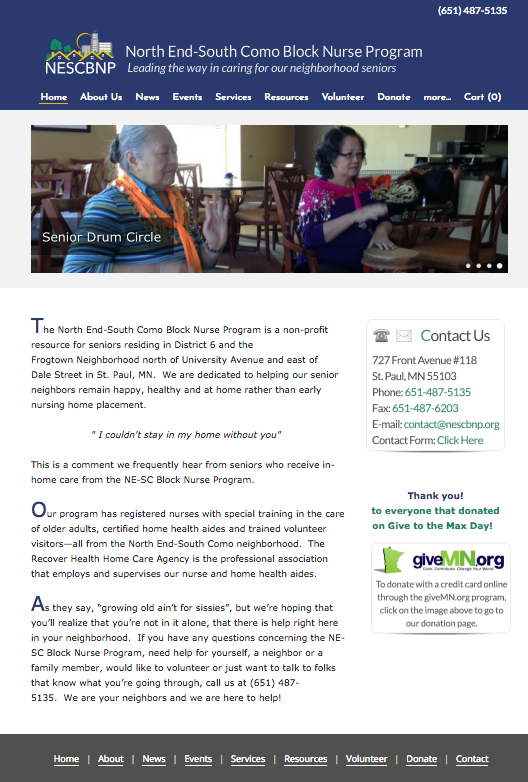 South East Seniors Block Nurse Program (BNP) helps seniors stay living at home. Weebly site. 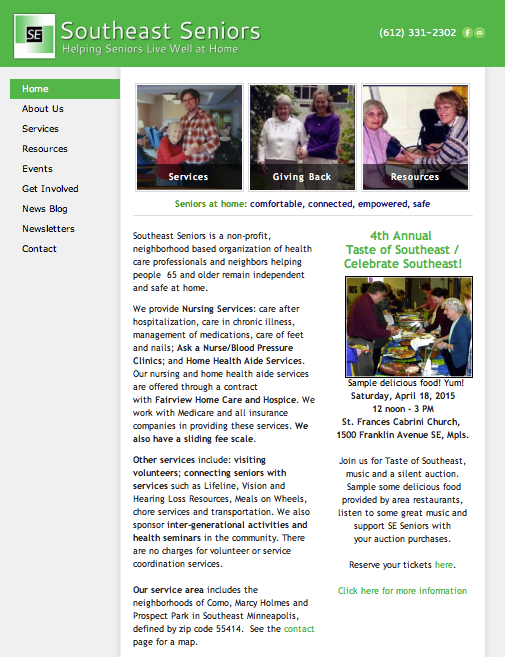 North End-South Como BNP helps seniors stay living at home. Weebly site. 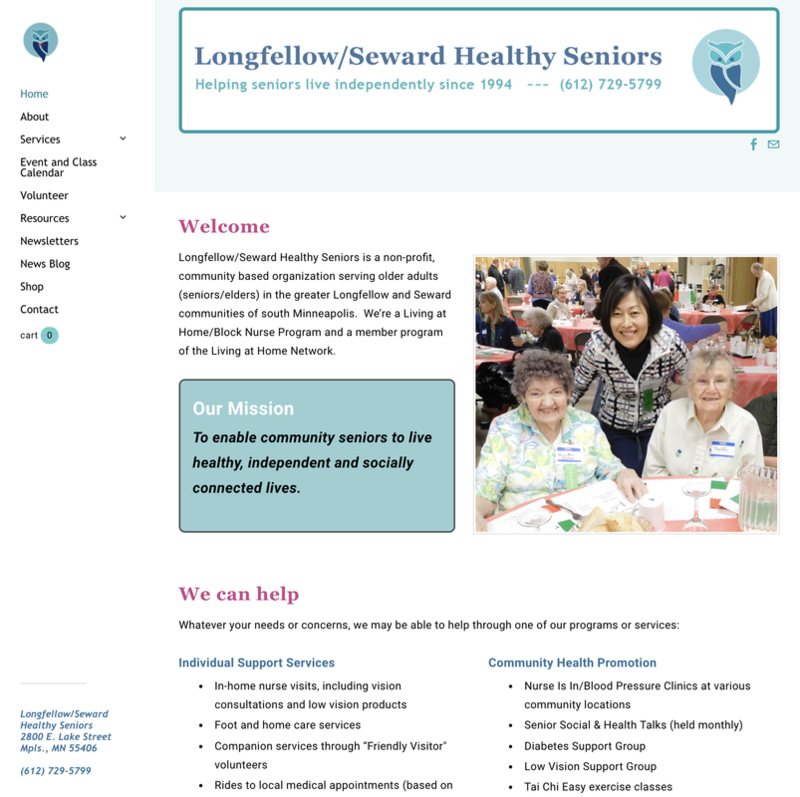 Longfellow/Seward Healthy Seniors . Weebly site. 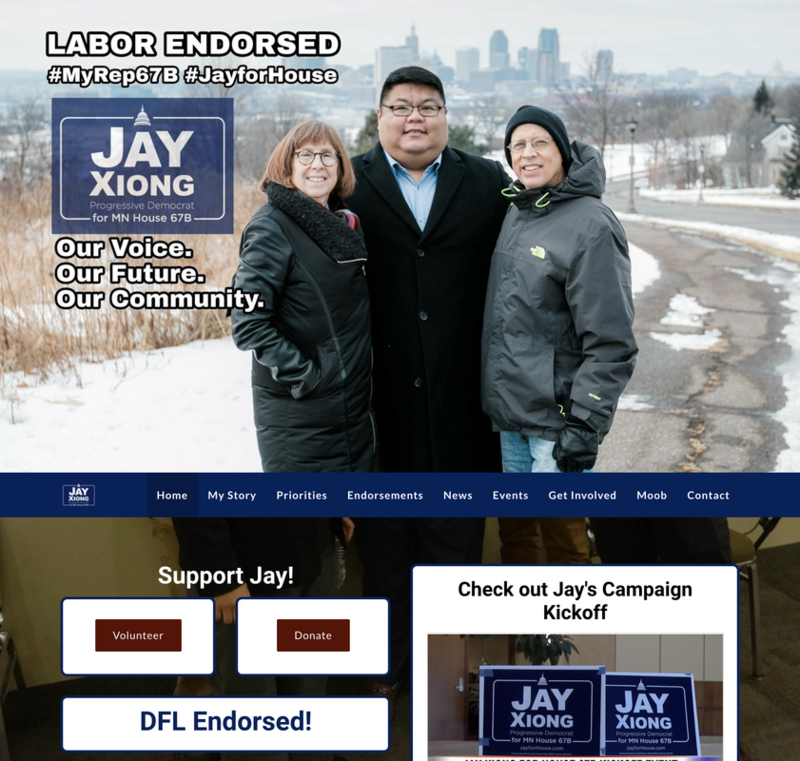 Jay for House - Political Site Weebly site. Twin Cities Muzzle Loading Club, promotes interest in black powder firearms and living history. Weebly Site. 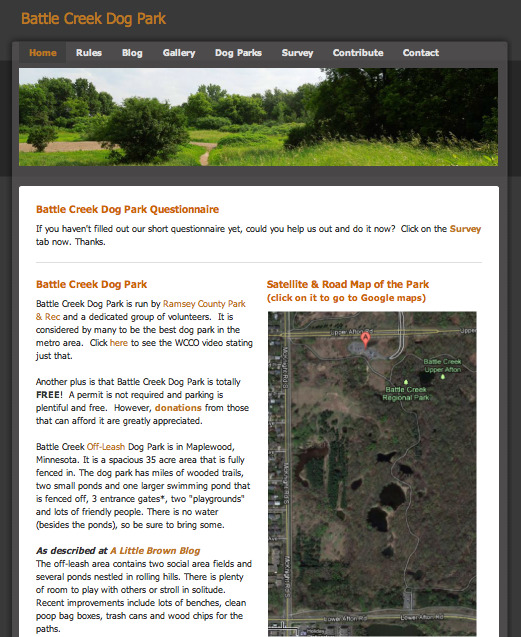 Battle Creek Dog Park. 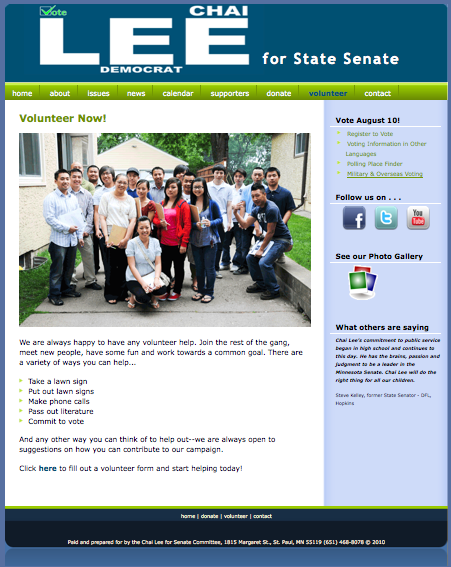 Ramsey County. 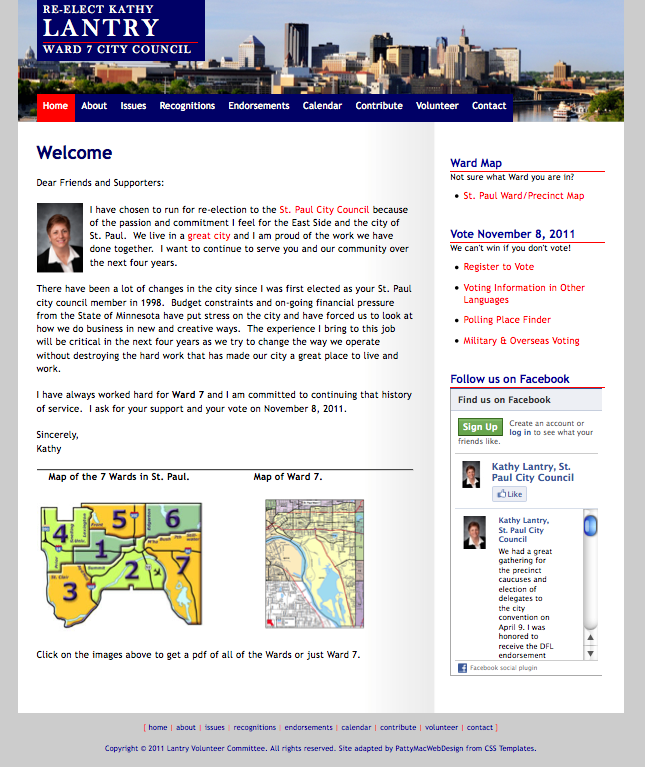 Weebly Site. 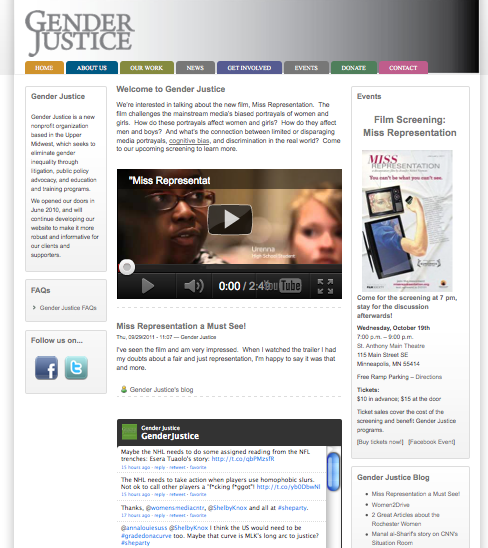 Gender Justice is a non-profit which seeks to eliminate gender inequality. Drupal Site. 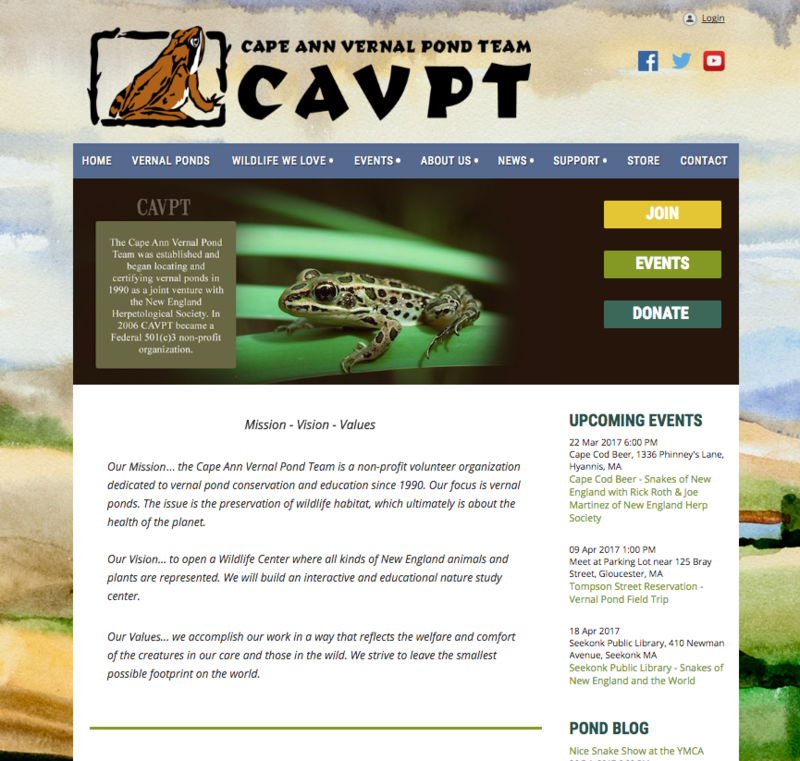 Cape Ann Vernal Pond Team. Gloucester, MA. Wild Apricot site. Bars Bakery, St. Paul, MN. 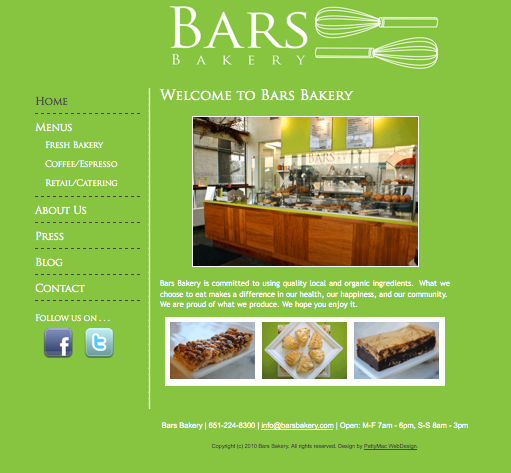 This site gives their menu and showcases their baked goods. HTML Site. Closed.